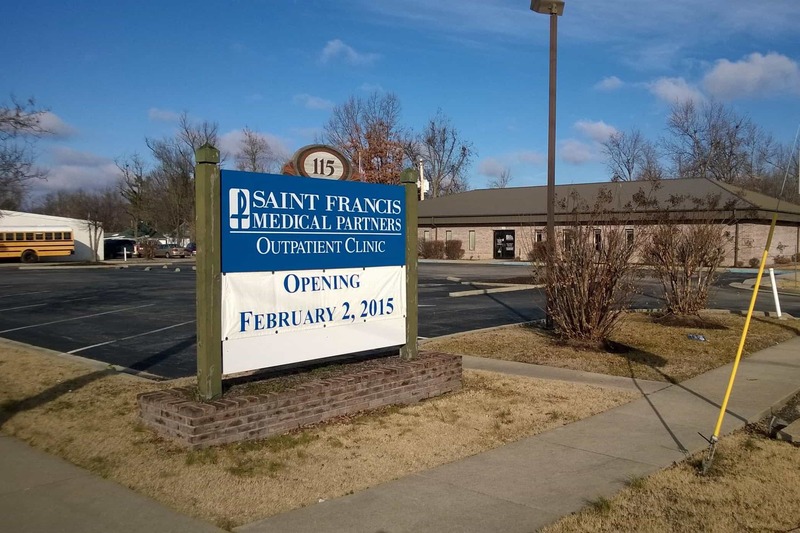 Saint Francis Healthcare System’s Outpatient Clinic opened today in its temporary location at 115 East Business Highway 60 in Dexter. Saint Francis Medical Partners F. Michael Caldwell, MD; Stephen Nagy, MD; Christopher Montgomery, MD; Gilbert Smith, MD; and Joseph Schuerger, MD, will offer primary care services to patients here along with nurse practitioners. The clinic also offers urgent care and lab X-ray services, as well as outpatient physical therapy services by Donald Zoll, PT. The Outpatient Clinic is a temporary home for Saint Francis in Dexter while the Dexter Health Campus is under construction, which is scheduled for completion in mid-2016. The future Health Campus will offer everything the Outpatient Clinic offers and more, including Fitness Plus Dexter. In the coming months, Dexter residents will benefit from the close-to-home convenience of specialties, including comprehensive cancer care from Carlos Robles, MD; OB/GYN expertise from Jessica H. Lemmons, MD, FACOG, and Grant D. McWilliams, DO, FACOG; and expert cardiology care from Joseph C. Dwyer, MD, FACC. An open house event will be held on February 20 from 8 to 11 am welcoming the community to learn more about the new facility. This is an opportunity for the residents of Dexter to meet the physicians and providers while taking advantage of free health screenings, beverages and snacks. For more information or to make an appointment, please call 573-614-3600.